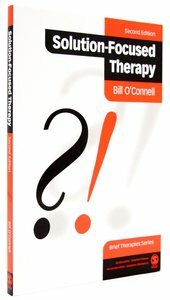 About "Solution Focused Therapy (2nd Edition)"
Bill O'Connell is a social worker in Western Massachusetts wBill O'Connell is a social worker in Western Massachusetts where he lives with his wife, Robin Marion. He also teaches chere he lives with his wife, Robin Marion. He also teaches creative writing and literature at Greenfield Community Collereative writing and literature at Greenfield Community College. A chapbook, On the Map to Your Life (Dytiscid Press, 199ge. A chapbook, On the Map to Your Life (Dytiscid Press, 1992) is available from the author. 2) is available from the author.